800,000 Kin Army Instructor of Martial Arts. Known as the strongest man in China. He took Rinchuu in when he was abandoned as a child. 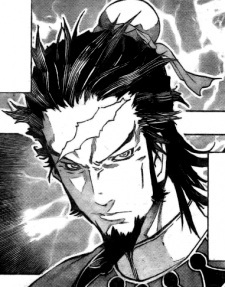 The scar on Oushin's head is from where Rinchuu attacked him. The Taitengyoudou are trying to recruit him but as of yet, he is still refusing.